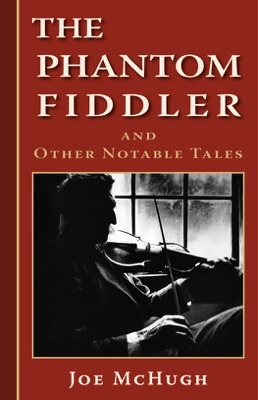 Noted storyteller and old-time fiddler Joe McHugh has put down his bow and picked up the pen to entertain us with a collection of supernatural tales about violins and fiddlers. A hotel haunted at midnight by the eerie sound of a fiddle, a dancing skeleton and a pirate’s buried treasure, a romantic rivalry between sisters that leads to foul murder, an ill-advised bargain with the Devil during the rough and tumble days of the California Gold Rush, these are just a few of the unexpected delights to be found within these pages. Each is an original tale, inspired by ancient myths and folk beliefs, and told with reverence for this most mysterious and seductive of all musical instruments—the violin.